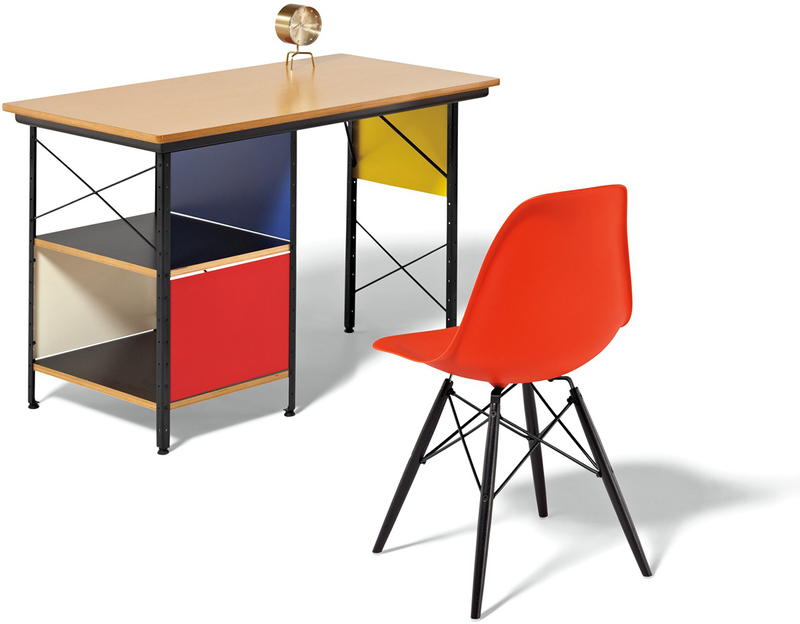 A product introduced before its time, the Eames Desk Unit is emblematic of the grace and vision Charles and Ray Eames used in solving home furnishing problems. 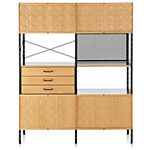 These pieces offer more than arresting good looks. 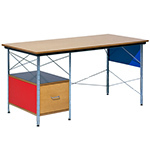 They're designed and built to meet your work surface, storage, and display needs in a very practical way. 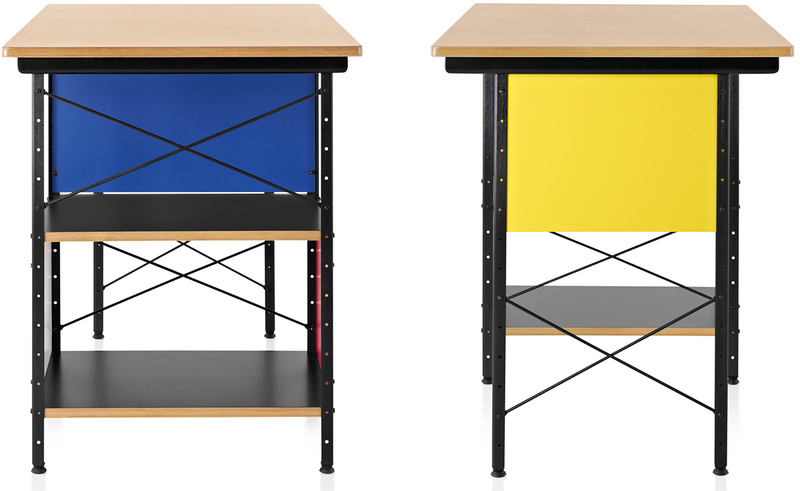 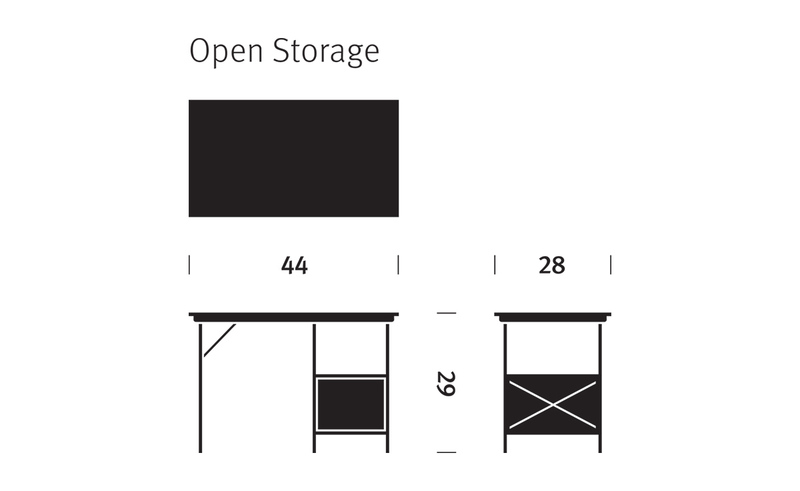 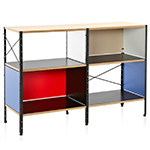 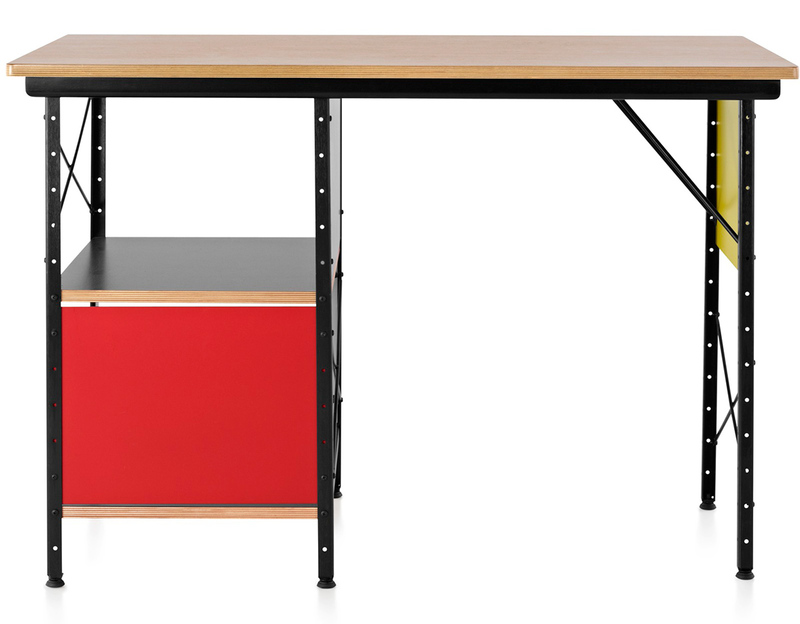 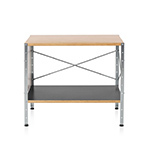 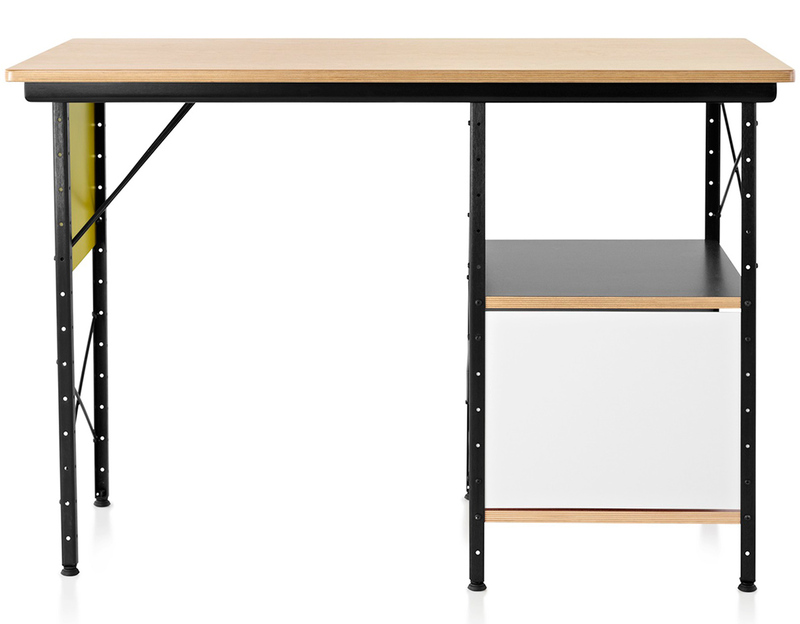 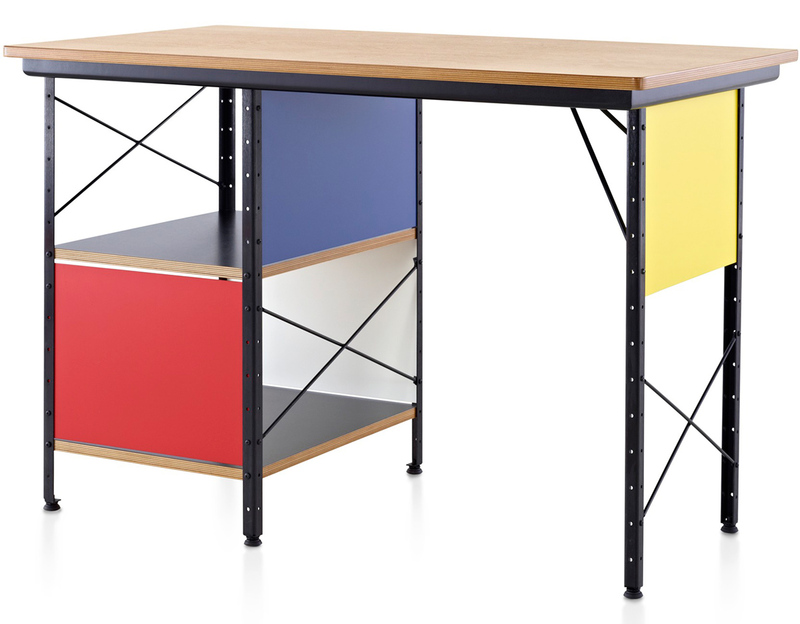 The Open Storage desk, with open wire shelving for storage is ideal for today's smaller technology and smaller spaces. 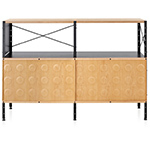 It features a birch finish on top with either zinc or black frame. 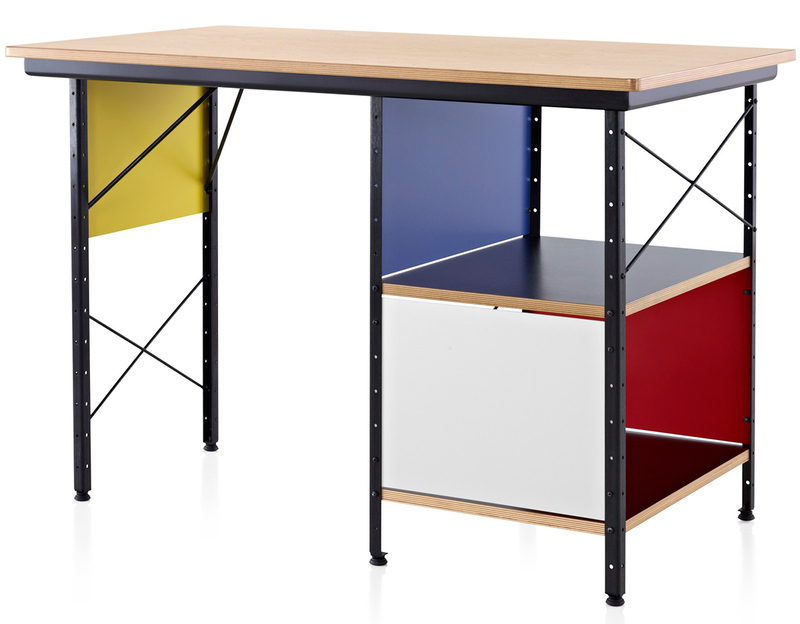 Painted hardwood boards on case sides and back panels, available in your choice of neutral or primary colors. 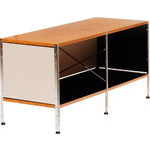 $1,560.00 + free threshold delivery in the continental U.S.